Tory Weiss – Considering heading to Brazil for Carnaval? 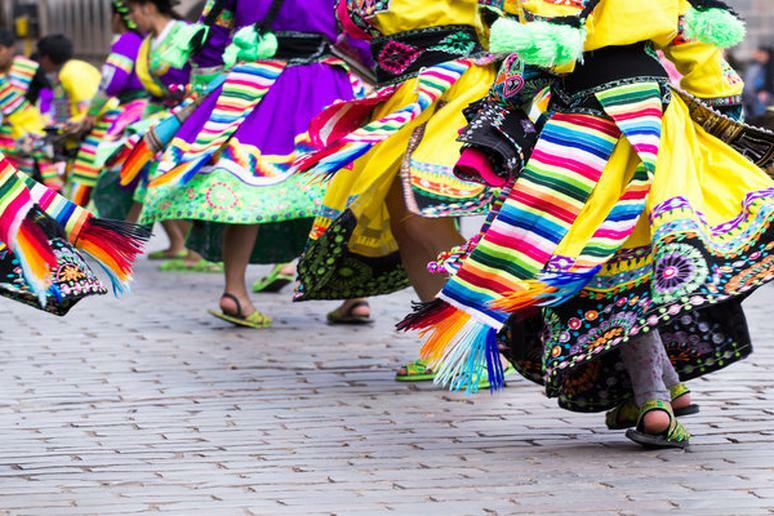 You may not know that this holiday is celebrated worldwide, with many of the most colorful celebrations taking place in the Americas. Among those, Panama, which some say has the second largest Carnaval celebration in the world! A vacation during Carnaval time is a busy, exciting trip, full of long days and longer nights. The last thing you need is to arrive at your destination exhausted from a ten-hour flight! Flights from the U.S. to Panama can take half the time of those to Rio, meaning you are more refreshed when you get there. With those shorter flights come lower prices! There are even newer options with low-cost carriers. Better prices leave you with more spending money for Carnaval itself. Rio is a major international city with some six million people. Las Tablas, the Panamanian town with the most famous Carnaval tradition, has fewer than ten thousand. Although the streets are definitely packed during Carnaval, since visitors from the rest of the country make their way to Las Tablas, its small size gives you more opportunities to experience the culture as you navigate the town’s streets, local restaurants, and shops. Even if you prefer to stay in Panama City, you’ll be in a city of just half a million people, with all the services expected for the one million tourists that visit each year. Carnaval in Panama is very much a family occasion, with entire groups heading out together to enjoy the holiday weekend. Many split the time between nearby beaches and the celebrations in town, meaning that the intense party atmosphere isn’t as overwhelming. Carnaval costumes are also a bit more modest in Panama than in Rio – although no less beautiful or ornate. In fact, one of the most popular events is the parade of polleras, Panama’s traditional decorated gown. Hundreds of women, young and old, walk the streets in elaborate, lacy confections and delicate golden hair accessories which will take you back to colonial times. Although many cities and towns have their own celebrations, the most famous Carnaval party in Panama is in the small town of Las Tablas, about 130 miles west of Panama City. Las Tablas boasts a city rivalry worthy of West Side Story: Upper Street vs. Lower Street, or Calle Arriba vs. Calle Abajo. This feud sees the neighborhoods competing for the most creative floats, most beautiful queen, and best party. And the winners of this competition? The public! Concerts, fireworks, food, and more are part of the festive atmosphere. Las Tablas is a four-hour drive from Panama City and is also accessible by air to nearby Chitre. Carnaval in a tropical country can definitely work up a sweat! Which is why one of the most welcome sites during Panamanian Carnaval are the “culecos,” trucks with water tanks. On a hot afternoon, you’ll love a quick spray to cool you down. You can even get in on the fun yourself, joining in with other festival-goers with water balloons. Planning to head down to Panama? Las Tablas itself doesn’t offer a great deal of options for accommodations, so it’s best to look into nearby towns. Be sure to book your hotel early, as Carnaval is a very popular time. Casa Margarita. Owner-operated with a personal touch. Casa del Campo. Tropical elegance with an on-site vegetable garden. Villa Marina. Fresh and elegant beachfront boutique hotel. Playa Venao Resort. Relax in the infinity pool and lounging areas with an ocean view. In 2017, Carnaval will be held from February 25 to March 1. Learn more about how to get to Panama for Carnaval in our travel guide.